Urban Solar Garden Installation Video | EnergySaveNewWest | Save Energy, Save Money. On Thursday, July 26th, the City of New Westminster hosted a ribbon cutting event marking the official unveiling of the Urban Solar Garden. 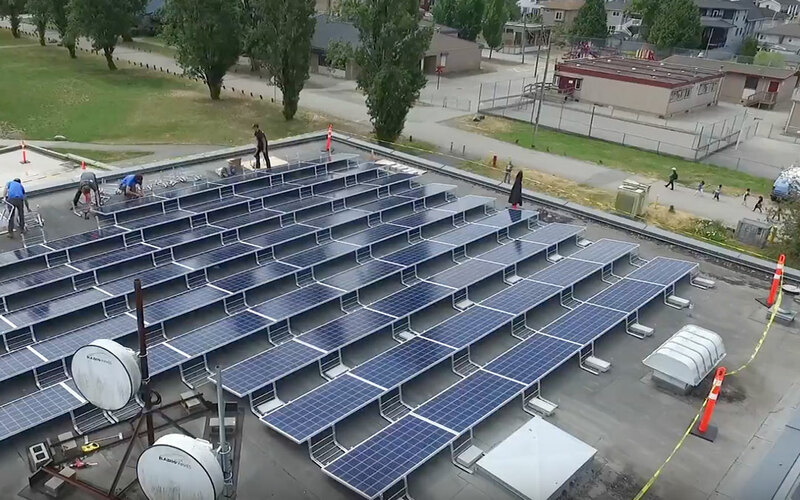 The City’s Urban Solar Garden is Metro Vancouver’s first community-owned solar PV array providing access to renewable energy “Made in New West for New West”. At the event, the City of New Westminster was pleased to share a short video that used a time-lapse camera and drone footage to document the installation process. View our installation video below or please visit the City’s YouTube channel here. To learn more, visit our Urban Solar Garden project page or call 604-515-3818.